In September 2000 two journalists from DONNA, one of Italy's top fashion and style magazines came to Wellington to profile the city as a world centre of creativity and style. The advertising agency, Clemenger BBDO and Creative Business Development brought the journalists to New Zealand. 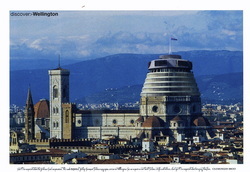 These photos reflect the playful mix of Florentine/Roman monuments with Wellington architecture and landscape. The Cuba Street bucket fountain appears at the Spanish Steps in Rome and the Beehive is transformed into Il Duomo in Florence! This is another photo montage done by Pietro Cannata, an Italian living in Nelson. It shows the famous volcano Vesuvius overlooking Wellington Harbour instead of the Bay of Naples! - to keep alive the special bond of comradeship that existed during the campaign. Recently I found some slides that belonged to my Nonno Luigi and had these made into digital photos by Wellington Photographic Supplies. 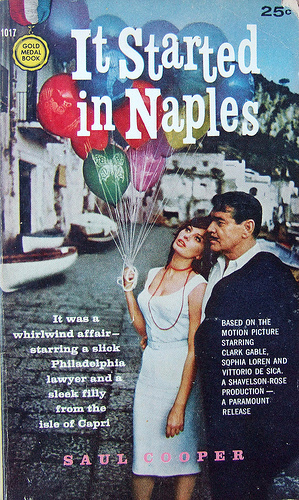 The photos show the filming of the movie It Started in Naples starring Sophia Loren and Clark Gable. 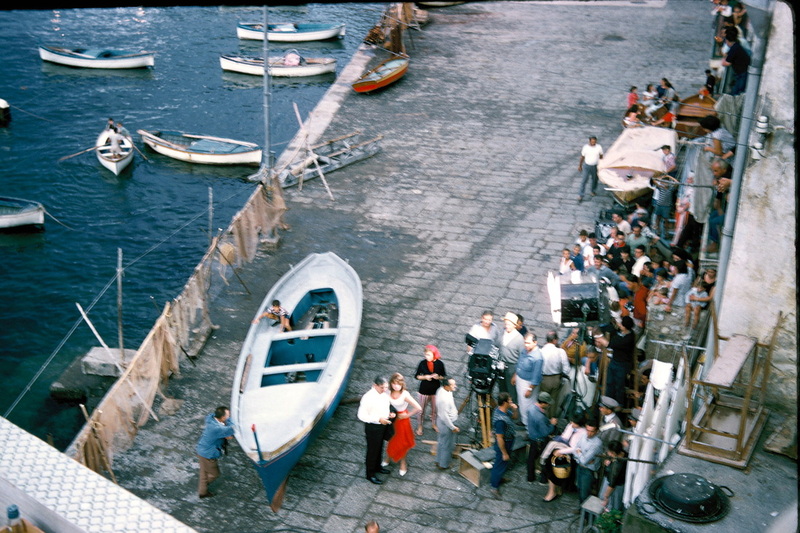 The movie was filmed on Capri and some scenes were filmed in my grandparents' house on the Marina Grande on Capri. The balloons on the film posters can be seen in the photos. My Nonno took these photos when he returned to Italy for a holiday.